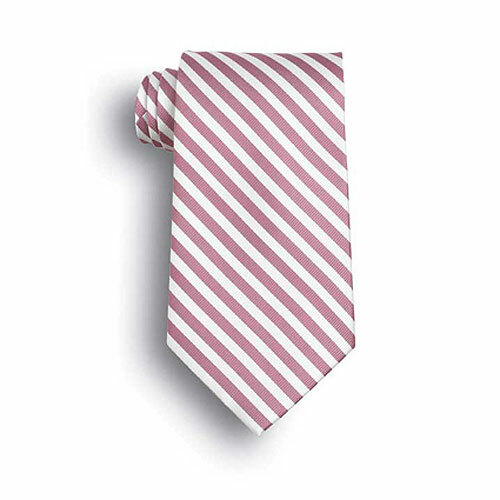 100% polyester pink and white striped woven tie. Matching scarves available. Also available in silk.